New York : J. Wiley, ©2004. 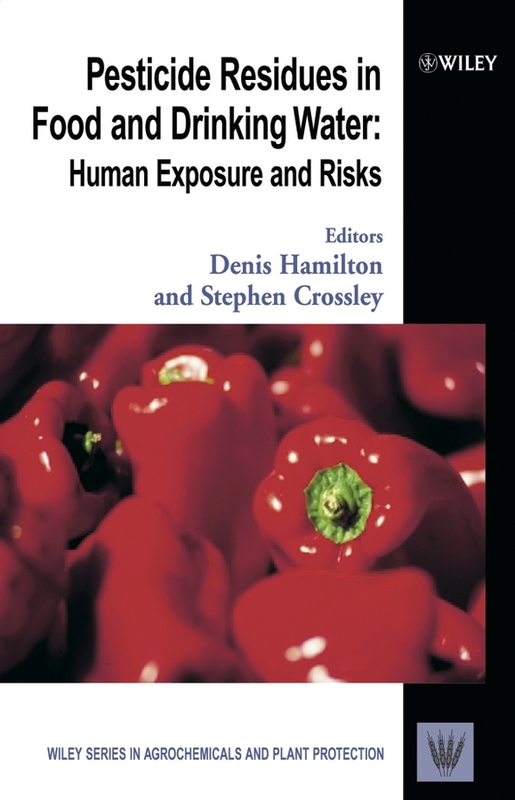 This book explores human exposure and consumer risk assessment in response to issues surrounding pesticide residues in food and drinking water. All the three main areas of consumer risk assessment including human toxicology, pesticide residue chemistry and dietary consumption are brought together and discussed. Pesticide residues in food and drinking water. 1 online resource (xiv, 363 pages) : illustrations. Explaining the risks / Sir Colin Berry. edited by Denis Hamilton and Stephen Crossley. Add tags for "Pesticide residues in food and drinking water : human exposure and risks". Be the first. Water Pollutants, Chemical -- analysis. schema:isPartOf <http://experiment.worldcat.org/entity/work/data/864892675#Series/agrochemicals_and_plant_protection> ; # Agrochemicals and plant protection. <http://experiment.worldcat.org/entity/work/data/864892675#Series/agrochemicals_and_plant_protection> # Agrochemicals and plant protection.